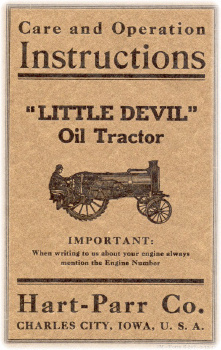 I am attempting to compile a listing of sources of parts for Cletrac and Oliver crawler tractors. But, I need your help! Please send me the name, address, phone number, web site, and e-mail address (whatever you can) of places that specialize in Cletrac or Oliver parts, or have been reliable sources of these parts. Give any comments you can about your experience with them. Suggestions are welcome. Unless specifically noted, Cletrac.org does not endorse or recommend any of these suppliers. Please use your best judgement and good business practices when dealing with any vendor. Please see our display ad in the classified section. Dealers of Hercules , Continental and Waukesha Engine Parts and more. I have bought Hercules engine parts from them. We would like to advise you of our REBABBITTING SERVICE. We rebuild all kinds of hard to find, and obsolete bearings for tractors, cars, machinery, ect. We use only the highest grade of 4 X NICKEL, tin based babbitt. Many of our rebuilt bearings are SPUN-POURED. If you would ever have a need for our kind of service, we would appreciate you giving us a try, or passing our name along. If you have a job for us, or want an estimate, and would like us to call, please include your phone number in an E-mail. Looking for that hard-to-find parts list or operating manual for your antique tractor or combine? If so, look no further! The Floyd County Museum in Charles City, Iowa, can help you find what you're looking for. To order: You may email the Floyd County Museum, or call (641) 228-1099. Fax (641) 228-1157. Hours are Monday-Friday, 9:00 a.m. to 4:30 p.m. Central time, year round. Postal address is 500 Gilbert Street, Charles City, IA 50616. There are many salvage yards throughout America and the world that carry used parts for tractors, including Cletracs and Olivers. Here is a list of salvage yards and their contact information. Tractor gauge repair and restoration. Custom and factory artwork for face dials. Our work has been featured in the "Green Magazine."